The fat man went out into the garden. He then took off all his clothes, but only after he had gone back inside and upstairs to his bedroom. Reading the above you would have pictured, I assume, a fat man walking out into the garden. You then pictured him taking his clothes off in the garden. You then discovered that you had pictured the wrong thing. You had to go back and delete your mental image and form a new one. This is usually considered to be Bad Writing. Then came the horses. Having four feet, these managed rather better than the foot-soldiers; but even theystumbled now and then; and it seemed to be a regular rule that, whenever a horse stumbled, the rider fell off instantly. The confusion got worse every moment, and Alice was very glad to get out of the wood into an open place, where she found the white King seated on the ground, busily writing in his memorandum-book. When Alice says she sees somebody on the road, one might reasonably picture somebody coming along the road. It is unlikely, though, that that original mental image would have been skipping and wriggling with eyes like fans. I have no idea why Lewis Carroll wrote like this. Nor do I have any idea why such a style should appeal so strongly to children. I remember that visualising a book was much more important to me then than it is now. However, I am sure that it was deliberate. 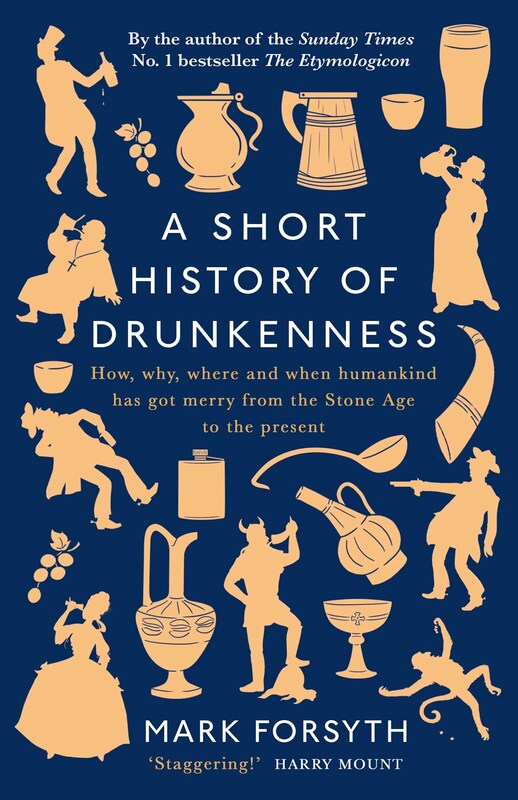 It is so unnatural to tell, retract, restate, and muddle (on the small scale) the chronology of your writing that I am sure that Dodgson did it with intent. Moreover, a hundred and fifty years of publishing and unnumbered adaptations prove that the method works. 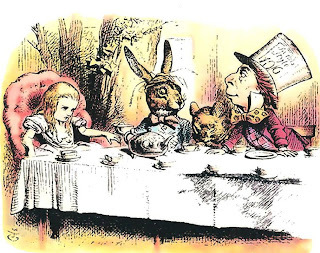 As a point of incidental pedantry, it is not the Mad Hatter's Tea Party, but the March Hare's tea party at the March Hare's house. The Mad Hatter just happens to be there. P.S. I've noticed that as I have an omnibus edition I accidentally opened it during Through The Looking Glass. My point remains, and it also ought to prove that I really was working at random. P.P.S. Before anybody points it out I am thoroughly aware of the real titles of the books. Though I lie in the labyrinthine sewers of prolixity, brevity is my aim.